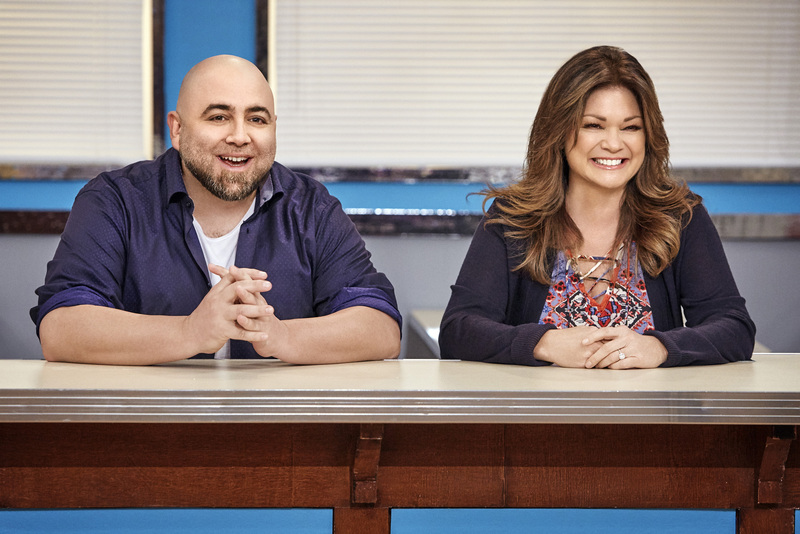 PR Newswire, NEW YORK – December 5, 2016 – Valerie Bertinelli and Duff Goldman welcome a new batch of 12 impressive bite-sized bakers with tons of talent on Monday, January 2nd at 8pm ET/PT for a new season of Kids Baking Championship on Food Network. 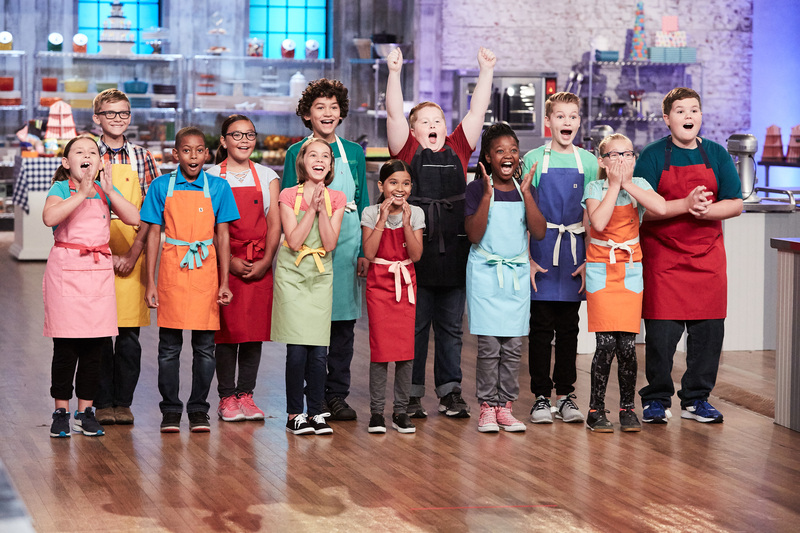 During the ten-week competition, the kid contestants (ranging in age from 9 to 12) must show off their baking skills and creativity as they whip up delectable desserts despite difficult, themed challenges such as carnival cupcakes, erupting volcano cakes, throwback treats, and the always popular challenge, dessert imposters. 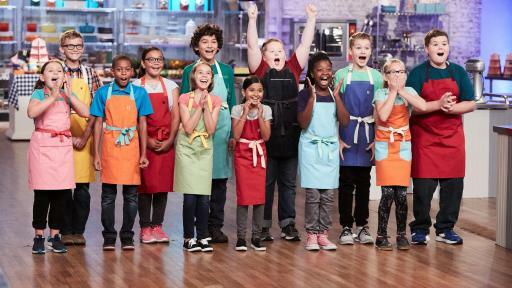 Only one will rise to the top to win the sweet grand prize of $25,000 to become the Kids Baking Champion! 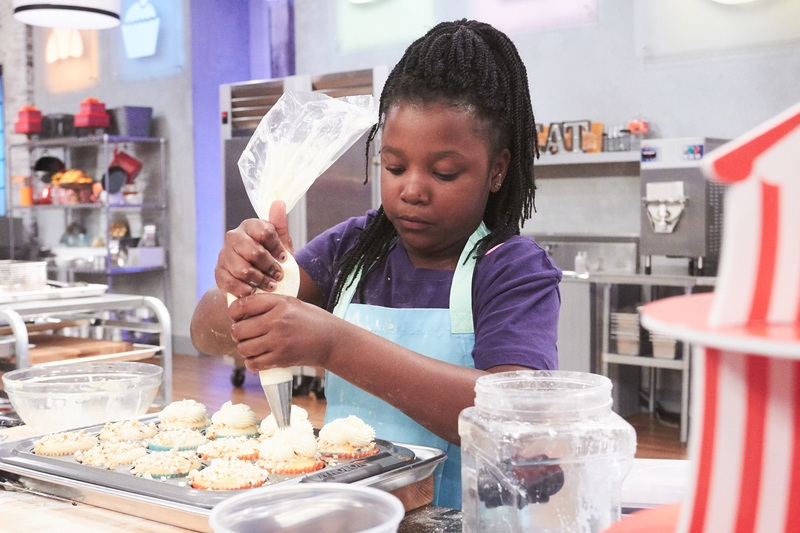 Kids Baking Championship contestants include: Aidan Berry (Shalimar, FL: age 12), Kaniyah Cary (Portsmouth, VA: age 10), Brooke Cumberland (Greenwich, CT: age 9), Charlotte d’Arabian (Coronado, CA: Age 10), Justice Faustina (Napa, CA: age 12), Cole Frederickson (Thousand Oaks, CA: age 12), Keili Gorczyca (San Francisco, CA: age 10), Jason Intravartolo (Seattle, WA: age 11), Maya Jindal (Great Falls, VA: age 9), Dylin Musgrove (Grovetown, GA: age 12), Reese Smith (Bloomfield Hills, MI: age 10), and Audra Tow (Aurora, CO: age 10). The carnival is in town for the Kids Baking Championship kick-off! 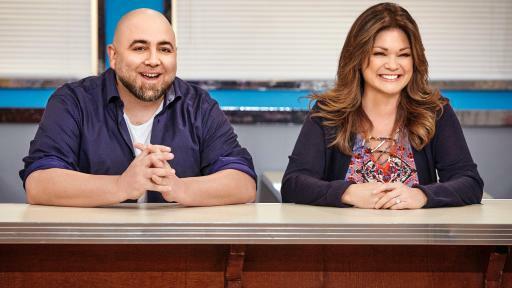 It’s a thrill ride when Duff Goldman and Valerie Bertinelli ask the 12 best kid bakers in the country to create carnival-themed cupcakes. They must try and incorporate carnival treats like kettle corn, frozen bananas and cotton candy. Prepare to be amazed as 11 bakers create volcano Bundt cakes that spew smoke and edible boulders. This red-hot challenge will test our bakers to their fiery core. The most beloved challenge of all pulls up a seat at the local diner. 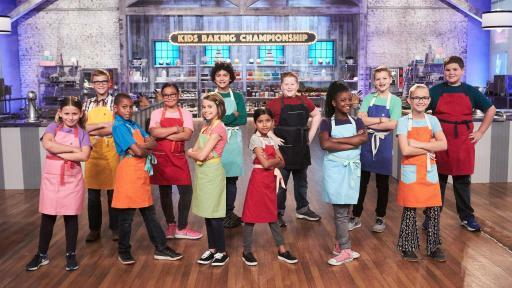 The remaining ten kid bakers must create a comfort food dessert imposter of meatloaf, fried chicken, mac ‘n cheese, and more, to keep their place at the table. 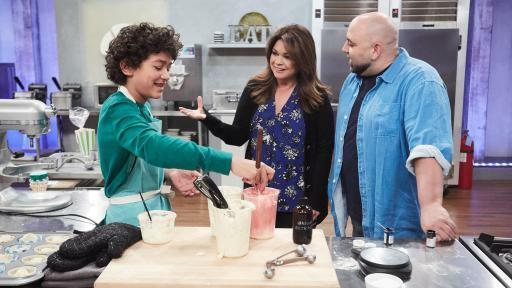 In this ode to the outrageous psychedelic colors of tie-dye, Duff Goldman and Valerie Bertinelli head back to the 1960s and ask the remaining nine mini bakers to “color them wow” with mind blowing tie-dye cakes that are so groovy, man! The remaining eight kid bakers must update old school desserts like coconut cream pie or German chocolate cake into trendy throwback éclairs. What happens when you cross a waffle or pancake with a layer cake? Breakfast desserts! The remaining kid bakers become royal subjects to Duff “King of Waffles” or Valerie “Queen of Pancakes”. The mission? To please their ruler with layer cakes made from waffles or pancakes. To increase the stakes, the winning side is immune from the chopping block. Today, there’s an app for almost everything. 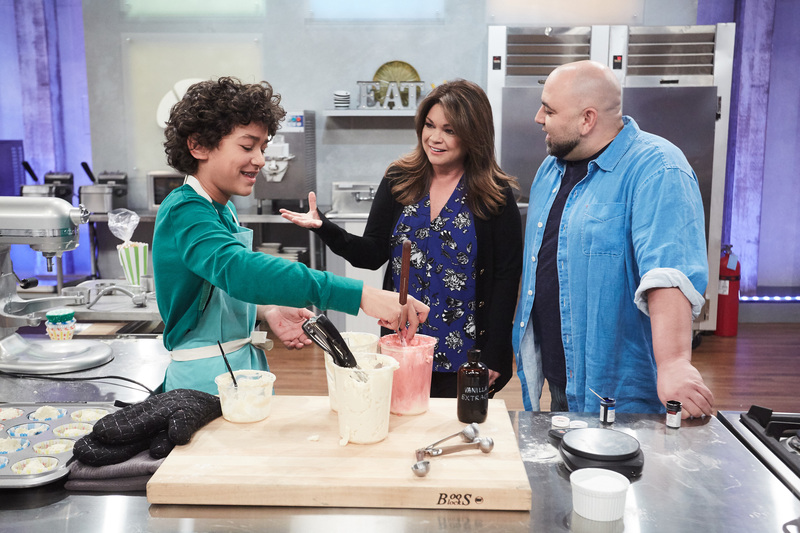 Duff Goldman and Valerie Bertinelli provide the app names, such as Snackchat, Clash of Carbs, and Pastry Chef Go, and the remaining six kid bakers must design and create mobile app icons out of sugar cookies. Cute little pets serve as the inspiration for this week’s challenge. The last five kid bakers standing must create a dessert inspired by the animal they are paired with: guinea pig, turtle, rabbit, mini pig or silky chicken. Sweet! 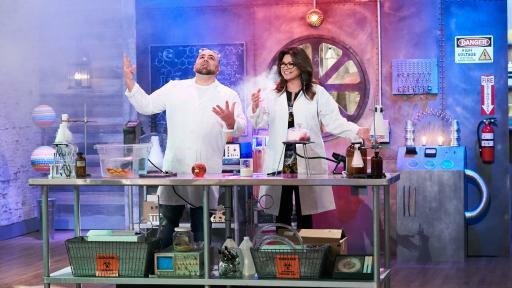 Kids Baking Championship goes Mad Scientist! 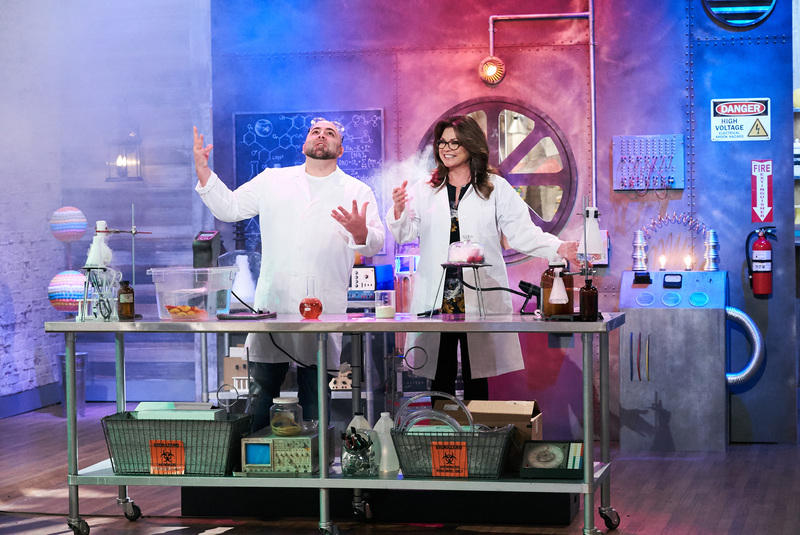 Using futuristic tools, the final 4 bakers are fighting for a spot in the finale with molecular gastronomy-inspired desserts. 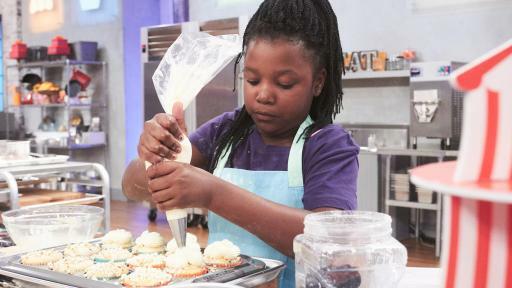 Which three kid bakers will measure up in this high-tech gauntlet? If you could be a superhero that’s unlike any existing superhero, what would you be? For the finale, the last three bakers have only five hours to create an original superhero cake, and describe their superhero’s powers during the judges tasting. Who will win this last challenge and fly off with the $25,000 grand prize? 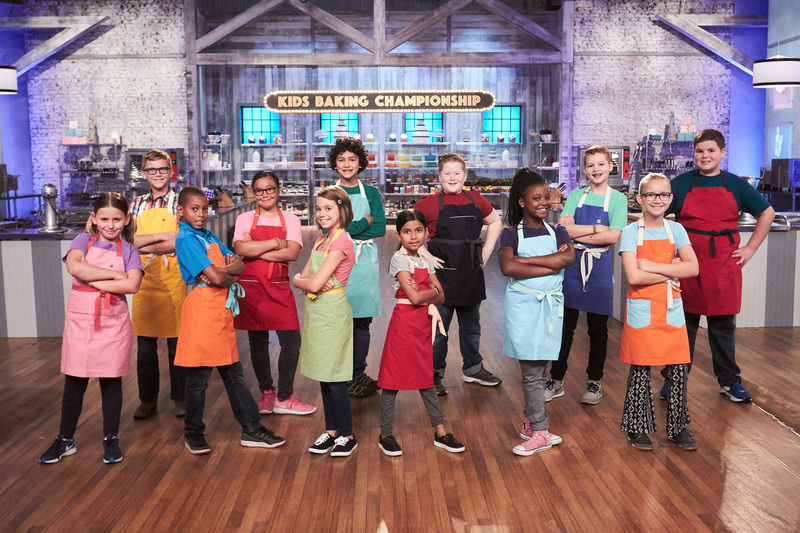 Fans can join the baking banter using #KidsBakingChampionship, and can relive the most adorable moments with video and photo highlights, including baking tips and interviews with Duff and Valerie at FoodNetwork.com/BakingChampionship. Kids Baking Championship is produced by Triage Entertainment. FOOD NETWORK (www.foodnetwork.com) is a unique lifestyle network, website and magazine that connects viewers to the power and joy of food. The network strives to be viewers’ best friend in food and is committed to leading by teaching, inspiring, empowering and entertaining through its talent and expertise. Food Network is distributed to more than 100 million U.S. households and up to 35 million unique web users monthly. Since launching in 2009, Food Network Magazine’s rate base has grown 13 times and is now the third largest monthly magazine on the newsstand, with over 12.4 million readers. Headquartered in New York, Food Network has a growing international presence with programming in more than 150 countries, including 24-hour networks in the United Kingdom, Asia, and the Europe, Middle East and Africa (EMEA) region. Scripps Networks Interactive (NASDAQ: SNI), which also owns and operates Cooking Channel (www.cookingchanneltv.com), HGTV (www.hgtv.com), DIY Network (www.diynetwork.com), Travel Channel (www.travelchannel.com) and Great American Country (www.gactv.com), is the manager and general partner.